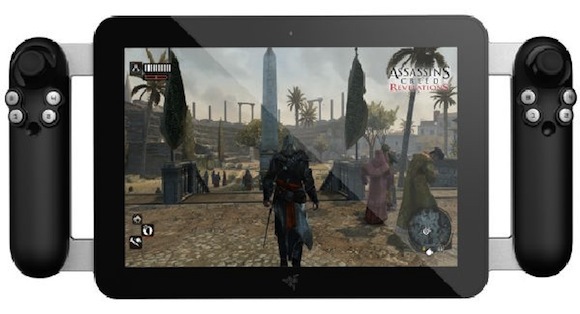 Razer revealed a dedicated gaming tablet called Edge on Tuesday, at International CES in Las Vegas. Calling it "a tablet, a PC and a console," Razer is convinced games like "Battlefield 3" now have a place on mobile devices. The company has filled the new tablet with a Windows 8 operating system and hardware with third-generation Intel Core processor, NVIDIA GeForce graphics and more memory than any other tablet currently on the market. The tablet will be offered in two different versions, the basic Edge and the Edge Pro. The basic Edge will feature an Intel Core i5 processor, NVIDIA GT640M LE graphics and 64 GB of storage. The Pro upgrades the processor to an Intel Core i7 and boosts the storage to 128 GB or 256 GB, depending on the consumer's desired configuration. Razer will offer optional accessories to allow players to customize their gaming experiences through hardware attachments. A keyboard dock with mouse port turns the tablet into a more traditional PC setup. 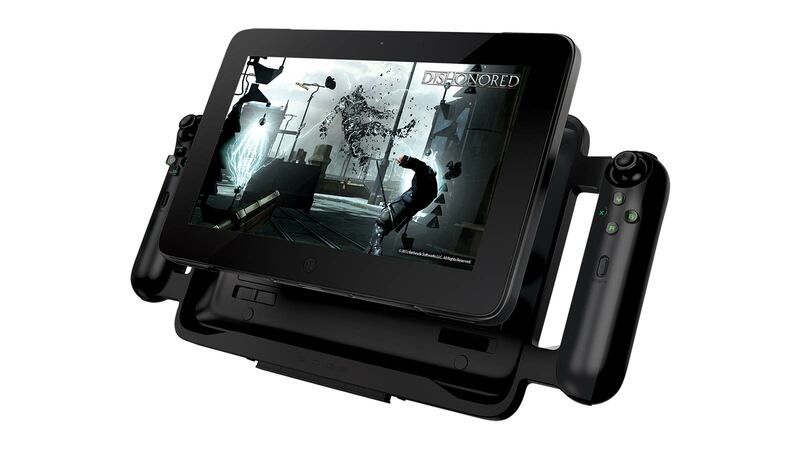 A Gamepad controller attachment can turn the Edge into a hand-held console capable of playing PC games that allow joystick and button configurations. 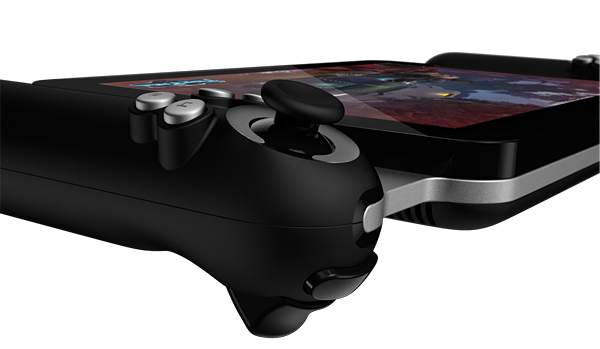 The tablet fits inside the Gamepad with a joystick and buttons on the right and another joystick with a directional pad on the left. Finally, there is a docking station allowing for multiple controllers (looking like Xbox controllers) as well as USB ports and an HDMI port for hooking up to a television and treating it like a home console. 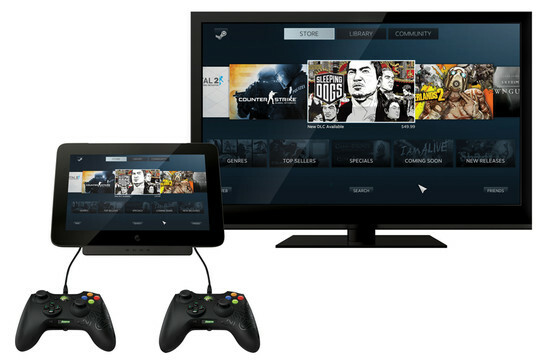 Both tablet versions as well as all the optional accessories will be available online during the first quarter of 2013. The company announced at CES that pricing will begin at $999 for the basic Edge tablet, but did not indicate costs for the Pro or accessories.